In a medium saucepan of simmering water, poach the salmon filets 10 minutes, or until flaky and tender. In a medium bowl, mix together cream cheese, sour cream, green onions, salt, hot pepper sauce, lemon juice and Worcestershire sauce. 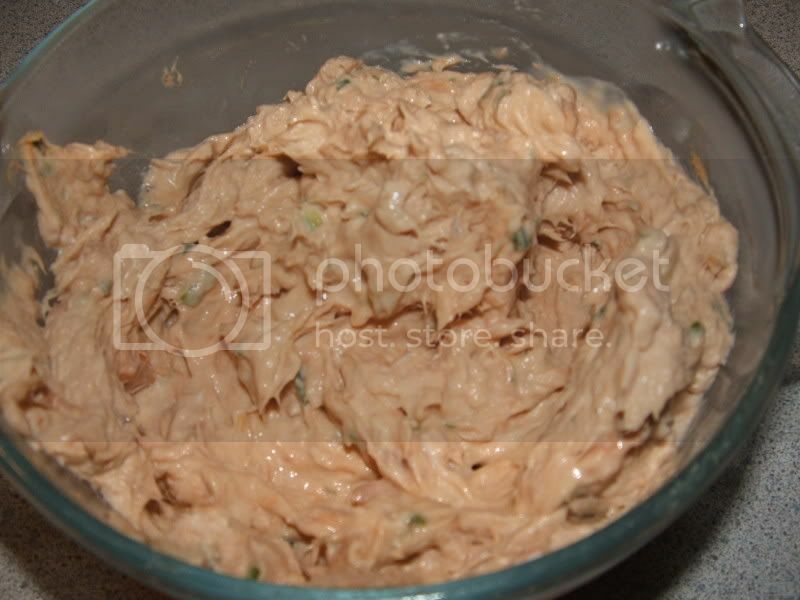 Flake salmon into the mixture. Cover and refrigerate 8 hours, or overnight, before serving. Notes: I did not use smoked salmon, I used some home canned salmon I recieved this fall and I did not add the hot sauce. I don't buy it normally and I wasn't going to for just one recipe. It was really very tasty. I made this for the baby shower for my cousin.